As a part of my Master’s program, there are a series of required cooking labs. The goal here is to learn cooking methods that will help future clients prepare healthier dishes. This week, we are learning about methods to decrease salt and sugar content in foods. One way to decrease salt is by using fresh herbs or dried spices. Herbs, like basil or rosemary, are the leafy part of a plant, including leaves, stems, and flowers. Spices, like cumin or coriander, are obtained from any other part of the plant (including the seeds and roots). Both herbs and spices have wonderful flavors and aromas. By incorporating them into meals, you can start to cut back on the amount of salt needed to please your taste buds. They are also great at adding taste without calories. Sugar substitutes are plentiful on the market today, but these recipes below will just touch on the use of vegetables as a source of sweetness. 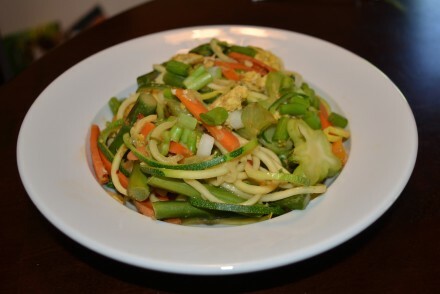 Without further ado, here are two of my favorite vegetable recipes from this week! 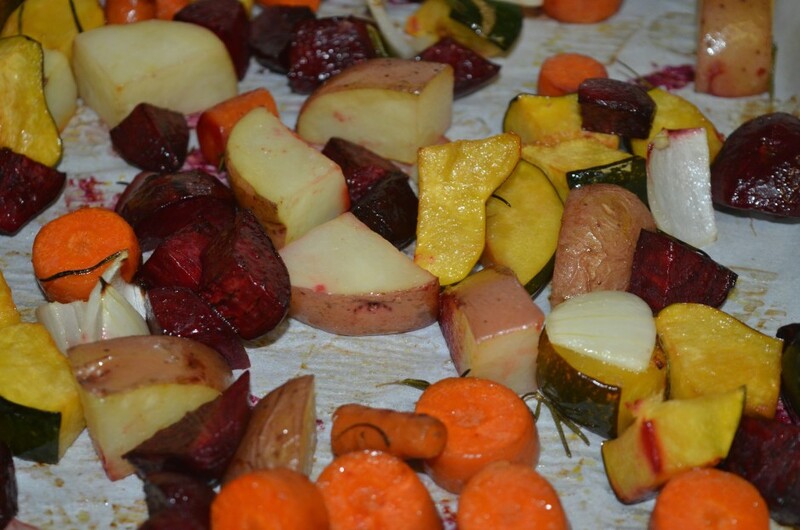 The first is roasted root vegetables. Root veggies have a natural sweetness to them, which is pleasing to the palate. Rosemary is used as a salt-limiter. 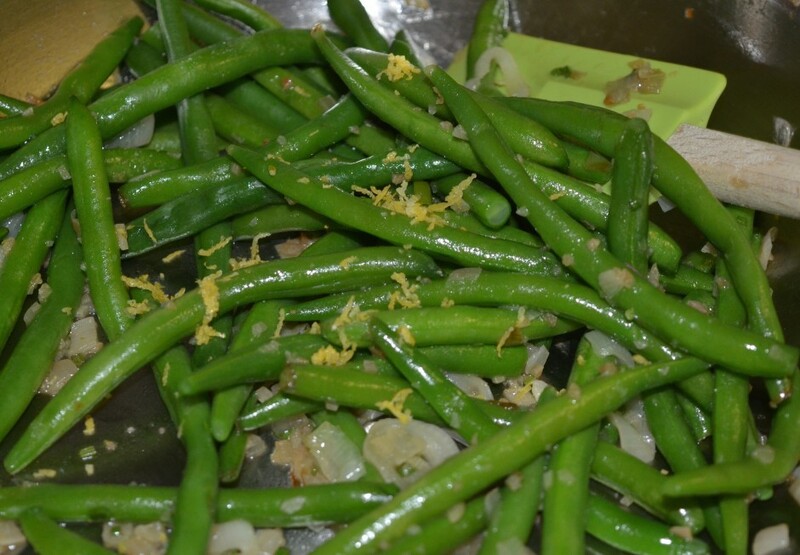 The second recipe is string beans with caramelized shallots and garlic. The caramelized shallots add a smoky sweetness to the dish. The addition of garlic, rosemary, and lemon zest to the final product leads to a truly harmonious blend of fat, acid, sweetness, and salt (I want these beans again, right now). These four elements (lovingly abbreviated as FASS in my class) are important to balance to create a well-rounded taste. Peel the beets. Wash and scrub the carrots, potato, and squash. For the acorn squash, cut in half, remove the seeds, then chop into medium pieces. 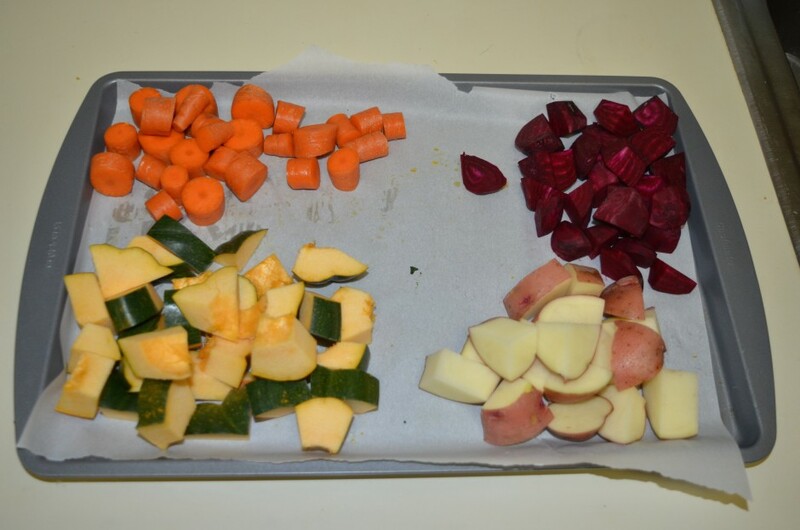 Chop the rest of the veggies into medium sized pieces. Do your best to keep the sizes about the same to ensure even cooking. Place all veggies in bowl, drizzle with olive oil and mix in rosemary and salt (to taste). Stir to coat evenly with oil. Transfer to parchment-lined baking sheet. Cook until fork-tender (anywhere from 30-60 minutes, depending on oven and size of chop). 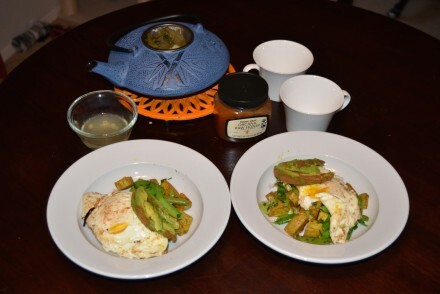 The great part about this recipe is the variability you can introduce on your own. You can use sweet potatoes or regular potatoes, acorn squash, butternut squash, even turnips and onion. This is a nice recipe for large groups, as it can easily be adapted to serve many. Root veggies are filling! *One added benefit of buying organic produce is you don’t have to worry about peeling your vegetables since the risk of pesticides on the skin is not present. Even with your acorn squash! The skin is edible and adds a nice color to the dish. Fill 4 quart pan 3/4 full with water. Bring to a boil. Add string beans to boiling water and blanch for 3 minutes, until bright green. Transfer beans to ice bath to stop cooking. Heat saute pan over medium heat and add oil. 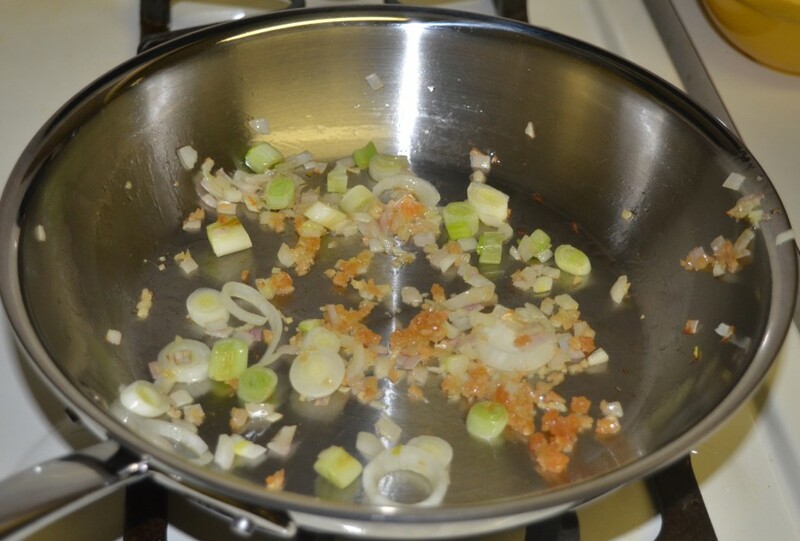 Once heated, add chopped shallots (or onion of choice) plus pinch of salt*. Saute until golden, about 3 minutes (longer if using yellow onion). Stir often to avoid burning. Deglaze the pan** by adding 1/4 cup of water. Once the water evaporates, add string beans to mixture and make sure the beans are done. Add rosemary, lemon zest, and lemon. Serve!! 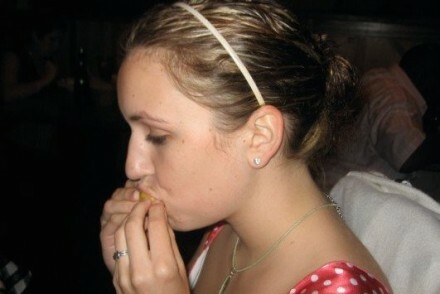 *Adding a pinch of salt to your onions and oil will help to draw the water out of the onion. This in turn draws some of the sugars out, facilitating the browning.